AP Special Status Protest is now moving to the next level with a new turn. The youth of Andhra Pradesh has called for a protest at RK Beach, Vizag, on 26 January demanding Special Status for the state. Popular Telugu actor and Jana Sena Party leader Pawan Kalyan announced his support Andhra Pradesh youth for their AP Special Status Protest. Jayaprakash Narayan, Ys Jagan and other Tollywood Celebrities had tweeted supporting the protest. Taking cues from the Tamils for ‘Jallikattu’ and their victory, AP youth called for AP demands Special Status protest. And the hashtags #APDemandsSpecialStatus‘ and ‘#APSelfRespectMoment‘ are viral in the social media as the youth took the initiation. The rage grabbed all the attention and requesting people to co-operate irrelevant to political parties. Discussing the facts, Andhra Pradesh is demanding nothing new except the assurances given by former Prime Minister Manmohan Singh. Massive protests took place all over the state in earlier September, when Union Finance Minister announced a ‘special economic package.’ Which, special status was the demand even then. The assurances also include declaring polavaram as a national project. There are printed brochures going viral on social media with a fist and seeking police support for the silent protest. 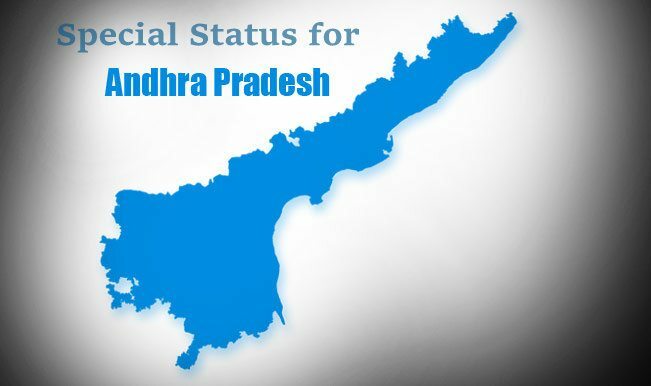 Netizens are already up with their special display picture demanding “We want special status for Andhra Pradesh.” Youngsters are active in social media with a common opinion about the special category. More interestingly, the organizers have asked the participants not to include political party flag. They ask the Protestants to come with black shirts and carrying a black flag. They also cautioned about no fan wars or party wars and not to damage government properties. Now, Pawan took up his Twitter account to proclaim his support for the event. Pawan has tweeted on ‘Jallikattu’ victory by the Tamilians who stood strong on the issue. Even few other cine actors and celebrities extended their support and ensured their presence as a part of the same. Apart from that, social media is taking a major lead in promoting the protest with arms #APDemandsSpecialStatus‘ and ‘#APSelfRespectMoment to get AP what it deserves.